The Illinois House is poised to vote Thursday on an overhaul of the state's pension systems. The plan easily advanced out of a House committee Wednesday morning. But the Senate's working on different method. Union leaders testify against House Speaker Michael Madigan's pension plan in a House committee Wednesday, as Madigan looks on behind them. Wednesday began with a widespread feeling that after more than a year of failed attempts to reduce the state's pension debt, House Speaker Michael Madigan's proposal might be it. To unions' frustration, the plan is designed to cut the state's pension costs by requiring state workers', teachers' and university employees' retirement benefits to work more years for a lesser retirement benefit. They'll also have to pay more. The big question over this proposal is how it'll fare in the Senate. 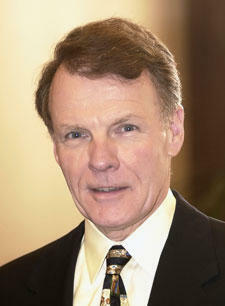 Madigan says he's moving ahead with Senate President John Cullerton's "direction and consent." But Cullerton has long maintained that approach is unconstitutional. And later in the afternoon, Cullerton announced that he had reached a tentative deal with unions on a plan they could support. CULLERTON: "Rather than go into specifics of the legislation , let's just say we're going to take it - their proposal’s significant from their point of view - and we'll take it to our caucus." It may be a case of Madigan playing bad cop to Cullerton's good cop, setting the stage for passage of a long-awaited pension plan. Or a sign of deepening divisions in the stalemate that's left Illinois with the worst-funded pensions in America. The Illinois House is poised to vote Thursday on an overhaul of the state's pension systems. It would reduce state workers', teachers', and university employees' future retirement benefits. The plan easily advanced out of a House committee Wednesday morning. There's a feeling in the capitol that after countless attempts to reduce the state's pension debt, this may be it. Insiders say it's significant that the plan's sponsored by House Speaker Michael Madigan — who rarely takes action without having support locked up.